Punjab is one of the most prosperous states of the country and also ranks high among the leading tourist destinations of north India. The word Punjab is actually the combination of the two Persian words ‘panj’ meaning five and ‘ab’ meaning water which literally means the Land of Five Rivers. This state also has significant mythological connections since the epics like Ramayana, Mahabharata and various Vedas and Puranas have been traced back to this land. The rich culture and tradition of Punjab impresses everybody visiting this state. Hospitable people and colorful festivities are simply enchanting and being a part of the celebrations is a unique experience in itself. The key cities of Punjab are Amritsar, Ludhiana, Jalandhar, Mohali and Patiala and all these cities have their individual importance, be it tourism or industry. 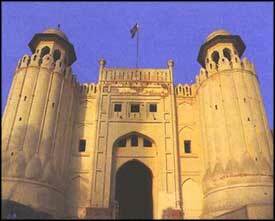 While on your travel to this historic land you will come across several landmarks. 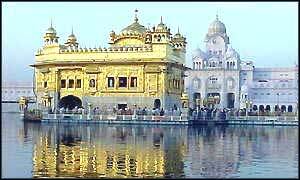 One of the prime tourist attractions in Punjab is the Golden Temple which is a highly revered Sikh pilgrimage spot. Jallianwalah Bagh is another historic spot near this temple where innocent people were massacred by the British army in the year 1919. Ludhiana is an important town of Punjab famous for the hosiery products industry. The town also features the Punjab Agricultural University which organises the Kisan Mela annually. The major things to watch in the capital city Chandigarh are the Capitol Complex, Secretariat, Assembly, High Court, Tower of Shadows, Geometric Hill, Martyr's Memorial, Sukhna Lake, Rock Garden, Leisure Valley, Rose Garden, Garden of Tranquility, Garden of Rare Plants, Garden of Annuals, Bougainvillea Garden and Government Museum and Art Gallery. Make your holidays in Punjab a wonderful experience by putting up in the hotel of your choice. The major towns of Punjab offer a large number of lodging options that extend value added services with contemporary facilities. In Amritsar you can choose from the three star hotels among which Hotel Ritz Plaza is a prominent name. Similarly the leading hotels in Chandigarh are Hotel Regency, Hotel Maya Palace, Hotel Mount View and Shivalik View Hotel. Punjab should be visited between October to March when the climate is pleasant. Punjab is well liked by the air, rail and road transport and the nearest airports are in Chandigarh and Amritsar. Punjab is equally well-connected by the rail transport and you can take the trains to the other parts of the country from the major railheads such as Chandigarh, Amritsar, Ludhiana, Pathankot, and Jalandhar. The road network of Punjab is simply commendable and you can reach to key destinations of India with ease. The interstate transport is also good and all the major towns of Punjab can be accessed by the state transport and private buses. For more information on Punjab, log on to the website touristplacesinindia.com which offers valuable inputs on tourist attractions in Punjab.